We value and welcome the input and feedback of our readers, so if there is anything you would like to see on these pages, or if you have anything to say, please get in touch – the Modern Retail team would love to hear from you! Whether it is to discuss news, editorial, advertising, or to give us feedback on anything you see on our pages – we value your feedback and look forward to hearing from you! 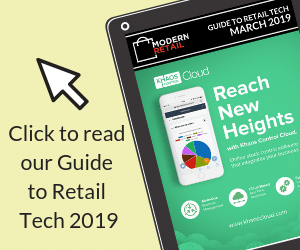 Modern Retail is published by Ricochet Media Services Ltd. Address: Unit 1b, Building 6, Croxley Green Business Park, Watford, WD18 8YH.